Mix and Chic: Cool designer alert- Kristen Cone! Introducing Charlotte-based designer, Kristen Cone. At an early age, she has been exposed to design and style, thanks to her family legacy of textile manufacturing. Growing up, Kristen was inspired by her mother's beautiful mountain home and gardens, which were highly regarded in Southern Accents Magazine and later in the 2001 book The Southern Garden. As a world traveler, she is influenced by her exposure to textiles, furniture and decor abroad, especially in Sweden, France and Belgium. Let's take a lot at her beautiful work, shall we? 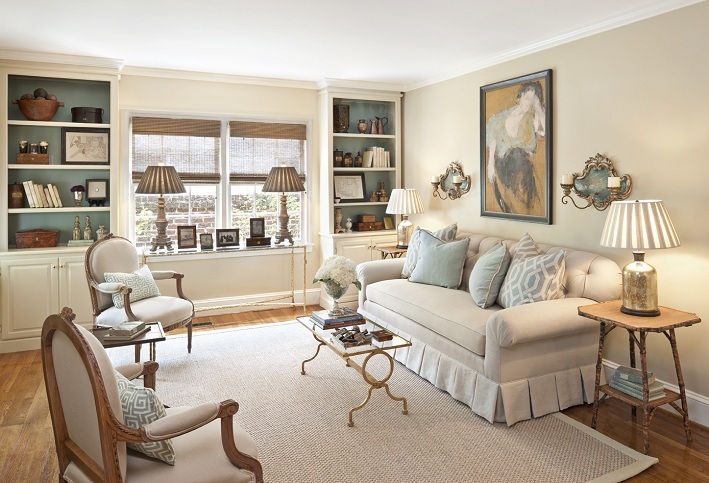 Her interiors are warm, neutral, cozy and sophisticated at the same time. I am particularly drawn to the casually elegant living room with the black and white map above the sofa and the chic and contemporary living room with the Louis Vuitton trunk coffee table. 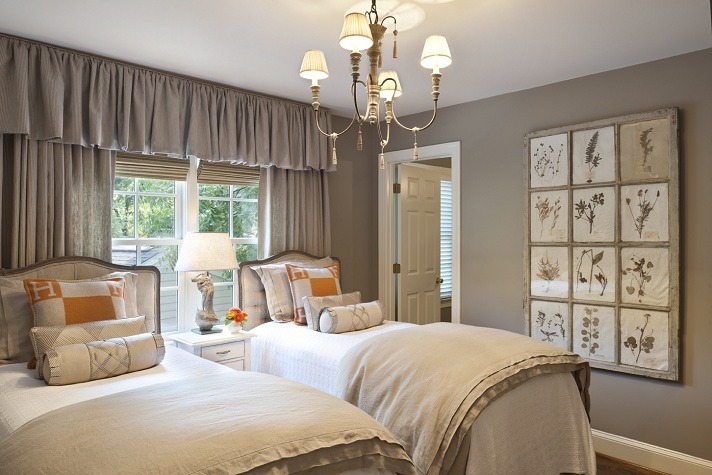 Which room gets your vote? 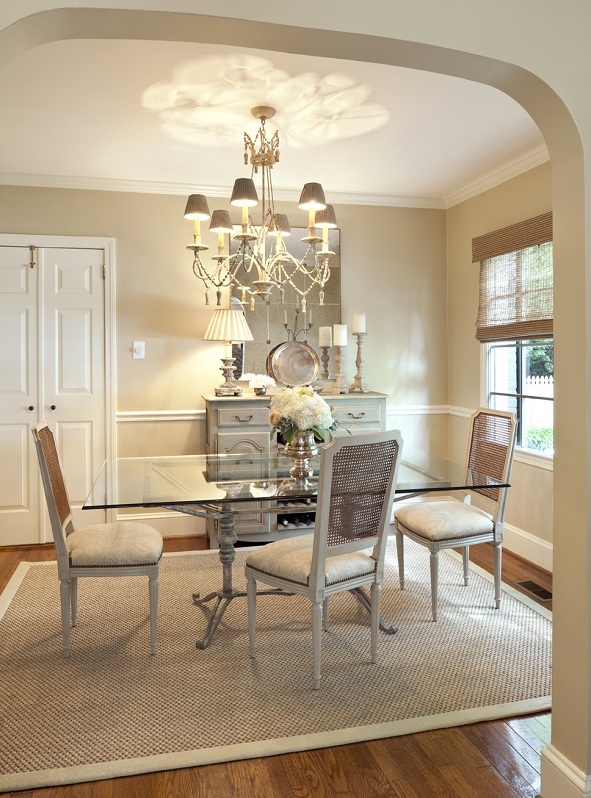 To learn more about Kristen Cone and her work, please visit http://kristenconeinteriors.com/. 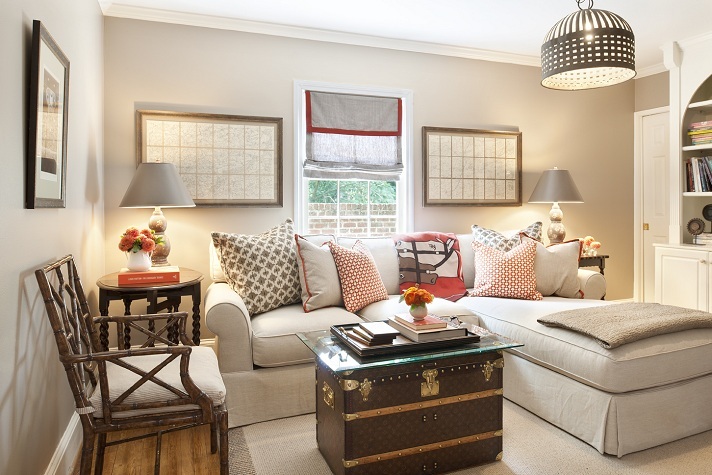 I'm loving the Hermes pillows in the bedroom. 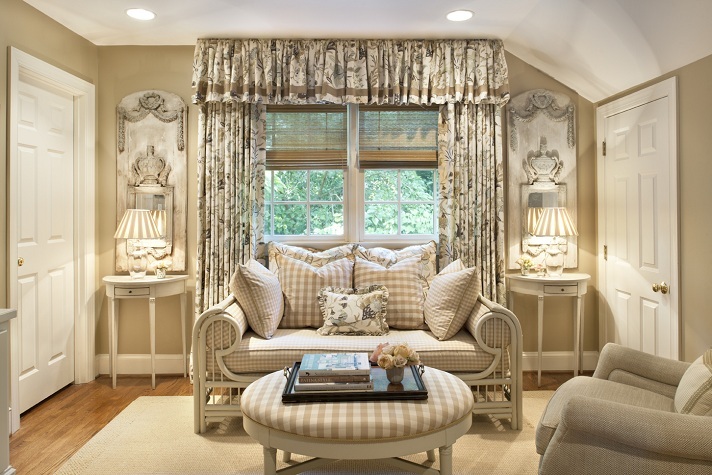 The home has a very calming feel and cozy too. pretty home , nice to the eye and comfortable looking to live in! I'm loving all the soft tones; thanks for sharing!